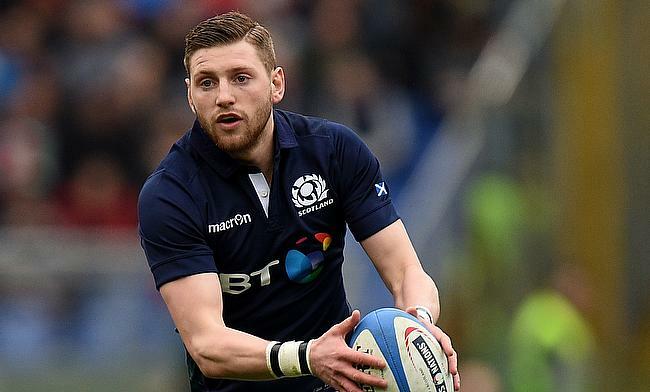 Scotland head coach Gregor Townsend has handed Glasgow centre Sam Johnson debut for the upcoming Six Nations encounter against Italy to be played at Murrayfield Stadium on Saturday. The 25-year-old qualified to play for Scotland on residency and is among the three players selected in the matchday 23 squad with Leicester Tigers' Jake Kerr and Newcastle Falcons' Gary Graham named on the bench. The inclusion of Johnson is one of the six changes made by Townsend from their autumn international series clash over Argentina with Tommy Seymour replacing injured Sean Maitland. The other changes sees Stuart McInally, Ben Toolis, Sam Skinner and Ryan Wilson drafted back into the line-up while scrum-half Greig Laidlaw returns to captain the side with Finn Russell at fly-half. Fraser Brown, Jonny Gray and Hamish Watson all miss out due to injury with Ryan Wilson returning at number eight and Josh Strauss on the bench.